Posted November 25, 2018 by lauterbachadmin | Uncategorized. 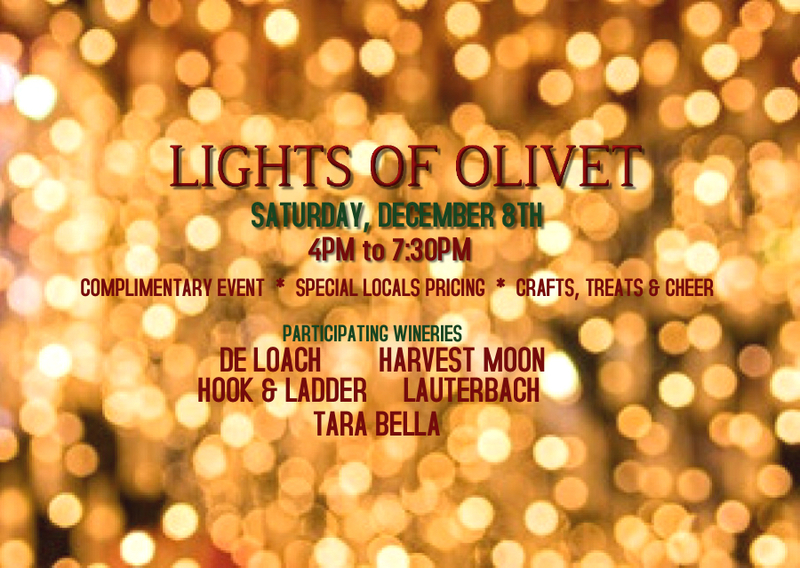 Join Lauterbach Cellars for an open House at DeLoach, Harvest Moon, Hook & Ladder, and Tara Bella Wineries. Food, crafts, music but best of all great discounts on WINE for your holiday shopping. 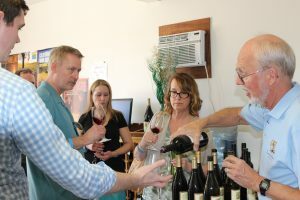 Visit all 5 wineries for a festive holiday experience. At Lauterbach Cellars we will be featuring meat balls, Bell Wether Farm cheeses, and chocolate truffles to go with our dessert wines. We will , of course, be pouring our favorite wines. Take advantage of some discounts on our vintage Lauterbach Cellars. Our current releases will be offered at 15% discount. I am so excited about planning a trip to your spectacular winery with some friends! Who knew it would be in a social media class at the JC! Please call for an appointment. We’d love to host you and your friends.